Choose a mulch that instantly adds beauty to your landscape. 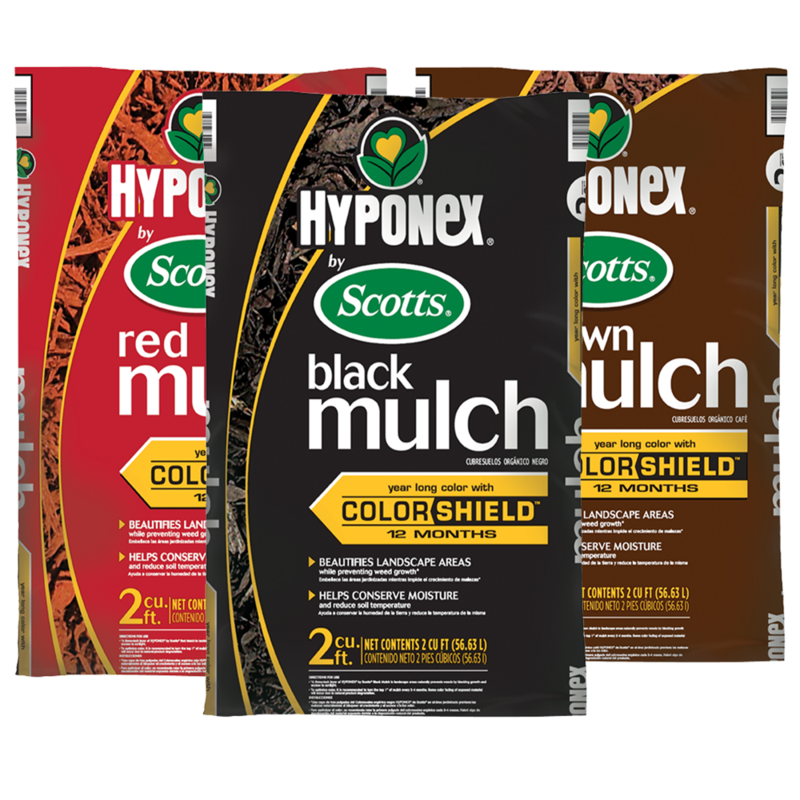 Hyponex® by Scotts® Mulch is protected by Color Shield technology, so you will have year-long color, guaranteed! 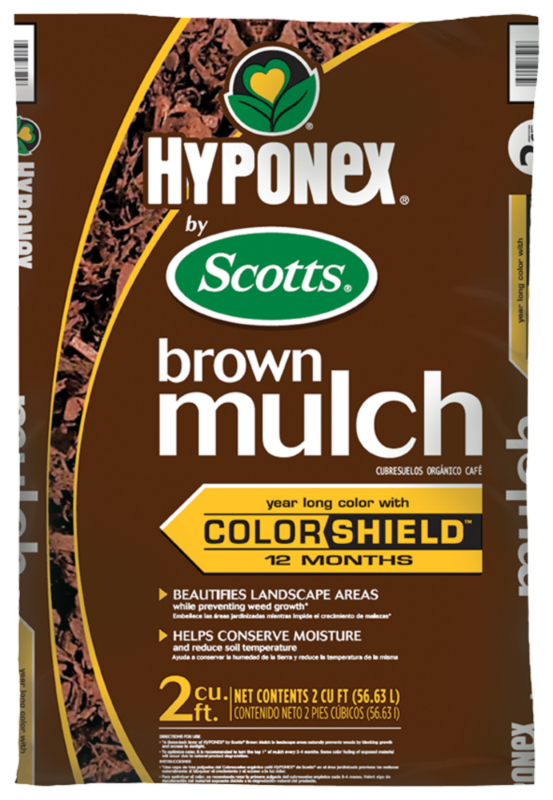 This 100% wood mulch effectively helps conserve soil moisture and prevents weeds naturally. 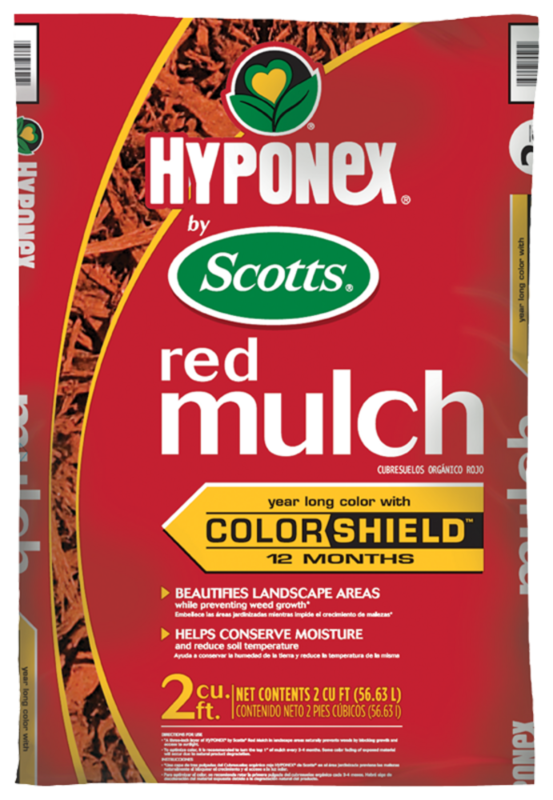 Instantly beautify your landscape. Available in 2 cu. ft. bags.